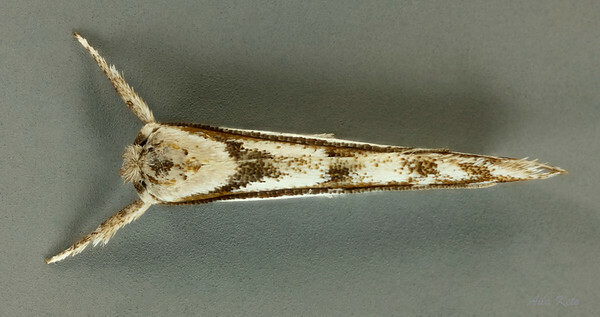 The Yponomeutoidea are one of the early radiations in the ditrysian Lepidoptera, the advanced clade that contains the great majority of lepidopteran species. There are about 1,800 species worldwide in at least 10 yponomeutoid families, possibly 11 according to Jerome Regier and colleagues in 2013. Latest studies suggest representation in the Southern Hemisphere has been considerably under-estimated. Future research may again reshape the phylogeny to indicate a more basal evolutionary position for these Southern Hemisphere taxa. This is an important superfamily for tracing the early evolution of Lepidoptera-plant interactions since they are one of the earliest groups to evolve external feeding compared to internal feeding of the Gracillioidea. Strikingly, oligophagy (using plants of a single order) is nearly universal within the superfamily, and nearly all oligophagous yponomeutoids use only one plant family as the larval host plant.